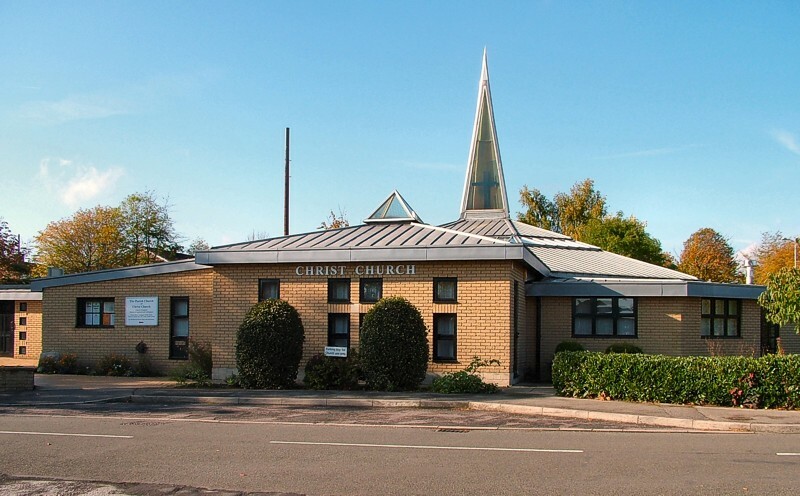 Christ Church is a modern building in the parish of St John, built 1992 on Thievesdale Close and consecrated in January 1993. The architect was Chris Moxon. It is the most recent new built church in the diocese. In shape it is an octagonal building with ‘arms’ serving a number of purposes. There is also an octagonal baptistery. It is built out of light coloured brick, concrete and glass, with a polished wooden ceiling. Seating on chairs. It was designed for community use as well as spiritual worship so it has a large functional interior.